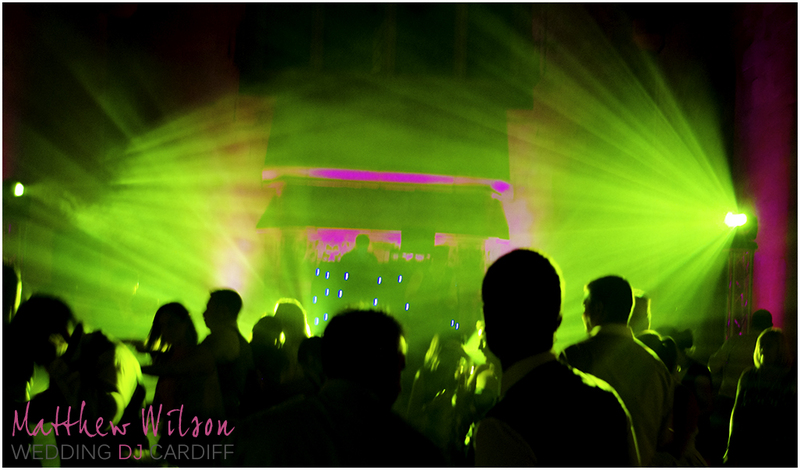 On 16th August 2013 I performed my services as a wedding DJ at St. Donats Castle at the Atlantic College in South Wales. 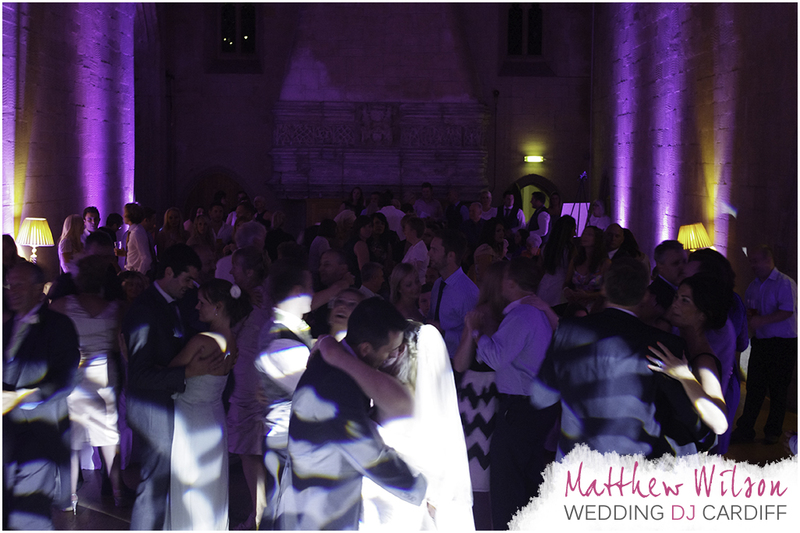 I provided music and full venue uplighting for Andrew and Sarah who’s only request was to not play any Jessie J! The first dance took place at around 8:30pm and the song chosen was “Thousand Years” by Christina Perri. The bride and groom danced together with all guests gathered around the dance floor. They were both joined by a few guests and before long the dance floor was filled with happy couples. With my dynamic uplighting installed, I was able to instantly change the colour of the uplighting from mint green to a light purple. The evening absolutely flew by! I couldn’t believe it when a member of bar staff arrived at the stage to ask me to announce last orders – I actually checked my watch. Before the night ended, I managed to squeeze in as many requests as I possibly could. The guests played a big part in how quickly the night passed. Time flies when you’re having fun and I only wish I could have played for longer. The night drew to a close at midnight, where the guests made their way from the venue. It was my first time performing at St Donats Castle and the staff were very accommodating and friendly. 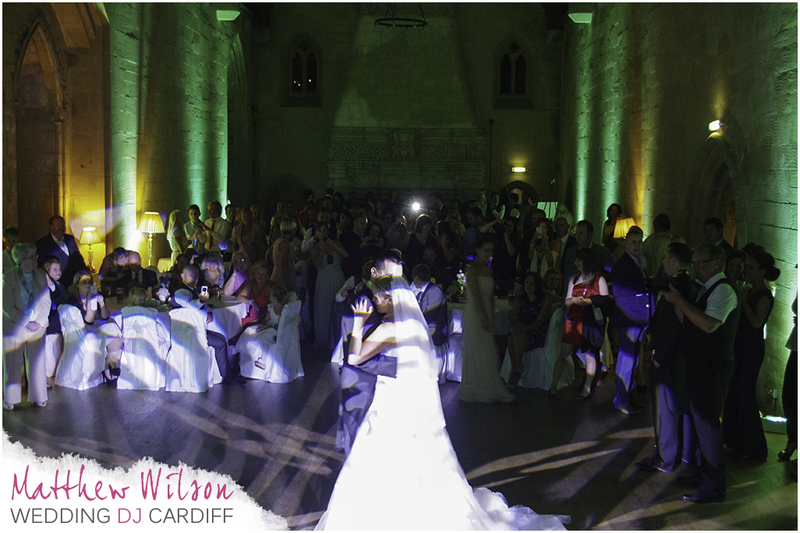 The main function room at St Donats Castle is fairly long, so having a powerful sound and lighting system was a must have here. 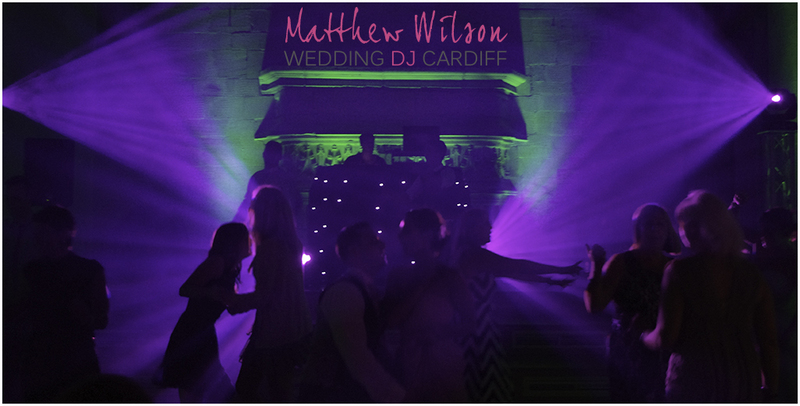 Thank you very much to Andrew and Sarah for booking me as their wedding DJ. I wish you both a happy life together as husband and wife.